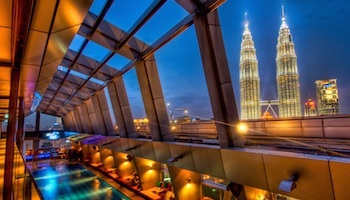 Many travelers are surprised to learn that Malaysia isn’t one big landmass. Instead, it is made up of two distinct sections. West Malaysia is on the southern tip of the Malay Peninsula, and East Malaysia is located on the northern portion of the island of Borneo. 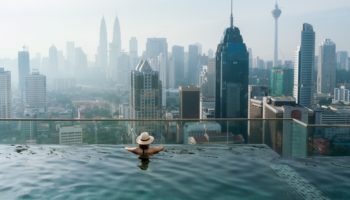 Both parts of Malaysia are scenic and culturally thrilling, but East Malaysia is often skipped over. 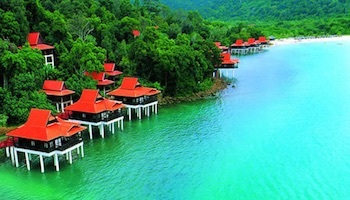 If you want to be in nature and see as much scenery and wildlife as possible, then East Malaysia is a top pick. 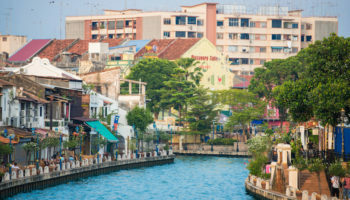 Plus, this region is home to a number of charming villages, towns and cities with excellent Malaysian cuisine. In the Malaysian state of Sarawak, there is a highland plateau called the Kelabit Highlands. Several major rivers flow through the region, which means that it is ideal for agriculture. Most visitors come to the Kelabit Highlands to hike and to explore some of the smaller villages, many of which are built up around rice paddies. Bario-Pa Umor is the most popular hiking trail, and you can cover it in about an hour. For the serious hikers, you can set off on an epic multi-day trek before submitting Gunung Murud, the highest peak in all of Sarawak. 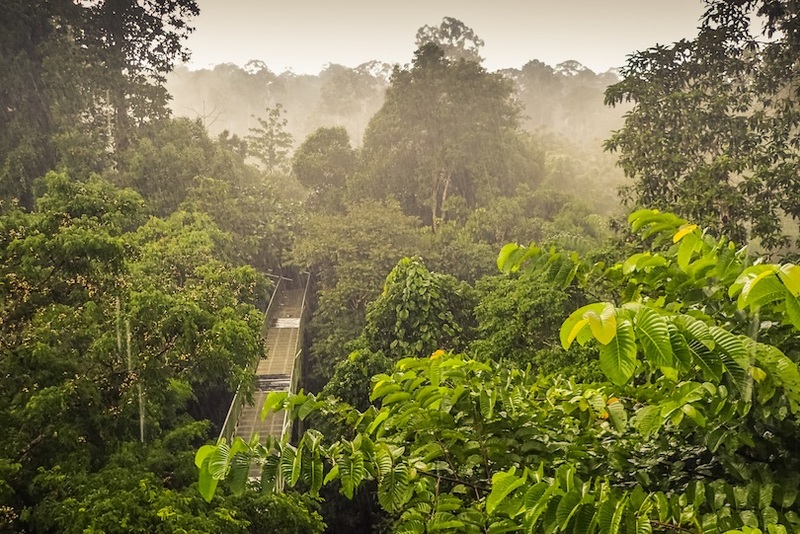 A two hour drive from Kuching will bring you to the Gunung Gading National Park. This park is best known for one incredible flower: The Rafflesia. This is the world’s largest flower, and it can grow up to one meter (three feet) in diameter. It also emits a strong odor to attract insects, and it is a highlight of visiting the park. Timing is key if you want to see the Rafflesia in bloom, but the national park offers a lot more. 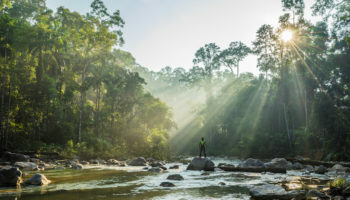 You can hike on a guided jungle trek, and you might even spot a waterfall or two along the way. Animals lovers won’t want to miss the incredible Semenggoh Nature Reserve. Since it is just 20 km (12 miles) from Kuching, this makes for a great day trip. The main attraction is the Semenggoh Wildlife Center, which accepts orphaned and injured animals from the wild for rehabilitation. On a visit, you’ll get a chance to see orangutans, and you can actually watch the twice-daily feedings of this intelligent animals. There are also guided tours of the nature reserve where you can learn more about indigenous animals and how they are cared for, fed and reintroduced to the wild. 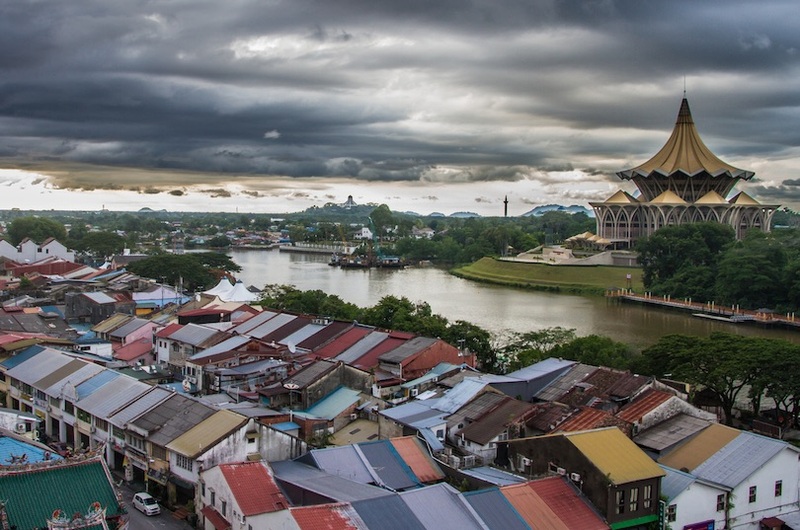 The city of Kuching is a major destination within East Malaysia, and it has a lot to offer. The architecture is incredibly diverse, meaning that you can see a Muslim mosque, the Chinese Tua Pek Kong Temple and the British palace called Astana within a single afternoon. Kuching is also known as cat city, for a variety of reasons, and visiting the Cat Museum can be a fun way to explore the origins of that nickname. Kuching’s big weekly market starts on Saturday afternoon and ends at noon on Sunday, and it is a great place to buy fresh produce, local baked goods and even a few souvenirs. Head just outside of Kuching for scenery and wildlife in the Bako National Park. Within the park, you’ll find both dense rainforests and beautiful beaches. Bako is the oldest national park in Malaysia, and most visitors come to spot the rare proboscis monkey. 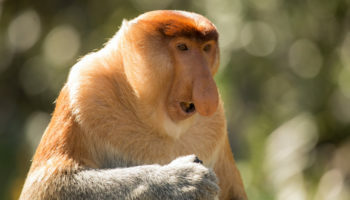 This endangered primate has an unusual nose, and it lives in the park alongside bearded boars, flying lizards and Macaques. Hiking in Malaysian Borneo is usually only recommended with a guide, but the trails at Bako are well marked. 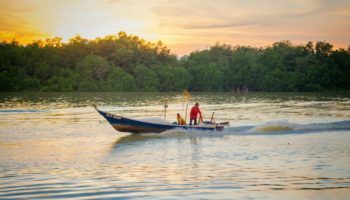 You can hike along the Paku Trail and end up right on the beach, and then you can hike to see the monkeys feeding at the mangrove swamps each evening around sunset. Manukan Island is found within the Tunku Abdul Rahman National Park, where it is the second largest of the islands. It’s just off the Sabah coast, and most people access Manukan Island via a ferry from Kota Kinabalu. 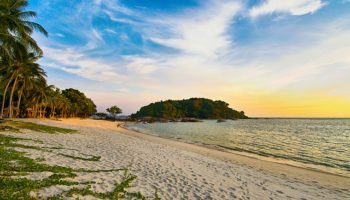 Manukan is the most developed isle in the marine park, but the main attraction is still the beach. Snorkeling is very popular, and you can also set off on a brief hike from the beach up into the jungle. Many visitors come for a day trip and pack a picnic, but there is also a popular barbecue buffet right on the beach. Some accommodation is available, but these options have to be booked in advance. Off the coast of Sabah is Sipadan Island, arguably one of the best scuba diving destinations in all of Malaysia. 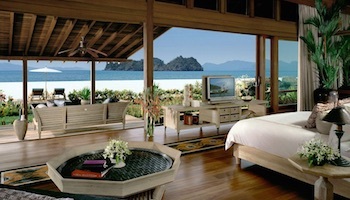 On the beaches, you’ll see enormous monitor lizards, and the sandy coastlines are truly stunning. The main attraction, however, is underwater. 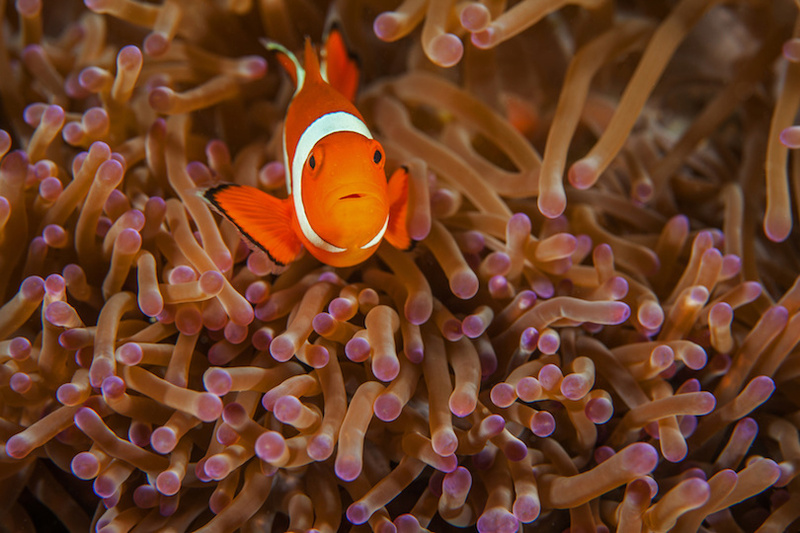 Scuba diving and snorkeling offers the chance to see sharks, barracuda, turtles and colorful fish in enormous coral reefs. 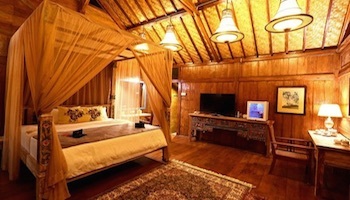 There is no accommodation on Sipadan Island, so most serious divers stay on liveaboard boats. They can dive during the day around the island and then sleep on the boats each night. Within the Kabili-Sepilok Forest Reserve is the Sepilok Rehabilition Centre, an incredible attraction that is a must-see for nature and animal lovers. The Sepilok Rehabilitation Center rescues abandoned and orphaned juvenile orangutans and teaches them to fend for themselves out in the wild. 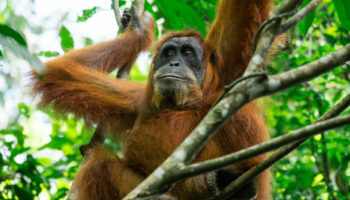 This is not a zoo, but you can walk along boardwalks and trails through viewing areas to see orangutans and birds in their natural environment. For the best chance at seeing these young orangutans, show up for one or both of the daily feeding times, when fresh fruit draws out the animals and gives you a great view of them. With a summit height at 4,095 meters (13,435 ft), Mount Kinabalu is the tallest mountain in all of Southeast Asia is Mount Kinabalu. If you want to see this peak for yourself, or even hike parts of it, then you’ll need to head to Kinabalu National Park in Sabah. The full climb to the top of Mount Kinabalu takes two days, but there are also plenty of shorter jungle walks that offer amazing vistas. The national park is also home to a park museum, which is small but worth a quick visit. You may also be interested in the Botanical Gardens, which does an excellent job of showcasing the indigenous flora. 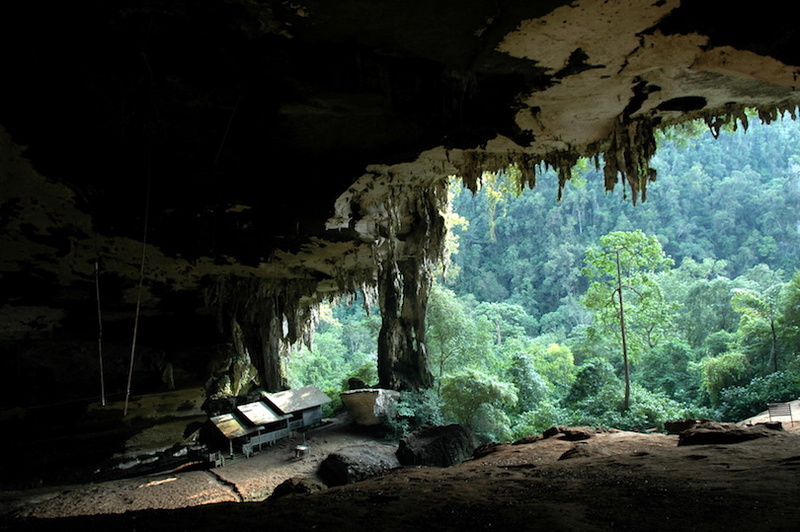 Gunung Mulu National Park in Sarawak is an area of incredible historical significance. The spot was used for burials more than 3,000 years ago, and its landscape has been revered for just as long. The highest peak in the park is Mount Mulu, but there are many limestone formations that tower over the park. Those limestone formations are just as incredible underground, where they form an enormous cave system. If you visit, you’ll want to check out the Sarawak Chamber, which is big enough to hold 40 Boeing 747 aircraft, and you’ll also want to hike to the Paku Waterfall. While longer multi-day treks are possible, there are also plenty of shorter hikes which are just as scenic.